Need help in reducing the hassles of everyday life? Need to know what's going on in your business? Need an attractive site for interacting with your customers? IOLA is a young software agency focusing on custom-made systems to make everyday life easier. Our solutions are built to be attractive, simple to use and speedy delivery. Overview. 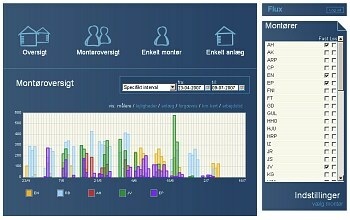 Analysis tool for business intelligence in a heat accounting company.